Drunk Driving, Driving under the Influence, (DUI), Driving while intoxicated (DWI) are all the same in New Jersey. The following is a brief summary of DWI law in New Jersey. However, this is a very complex field of law and there are many other laws that may come into effect if you're charged with DWI. New Jersey is one of the toughest states in the nation regarding DWI. For example, there is no "work program" where you can have a limited driving license. If you're convicted of driving under the influence you will lose your license. It is imperative that you seek the advice of an attorney to protect your rights. In New Jersey a defendant can be convicted of a DUI by having a blood alcohol level, which is at or above the State limit (which as of January 2004 is .08%), OR by failing the sobriety roadside tests currently referred to as "psycho-physicals". These tests usually entail reciting the alphabet backwards or forwards without singing it, heel to toe walking, holding one foot above the ground without losing balance or using your arms outstretched for balance, and a visual examination by the Police Officer (if he is certified to perform this test) of your eye movement called "Horizontal Gaze Nystagamus". There is NO Right to refuse to provide a breath sample or a sample of blood for the purpose of ascertaining a blood alcohol reading. 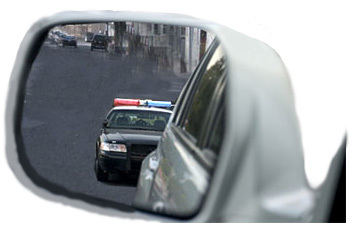 Should a driver refuse they will be issued a refusal ticket as well as a DUI ticket, and the penalties for both tickets can run consecutively. To set up a consultation concerning any DWI or Drunk Driving matters, contact us online or call us at (201) 656-1000.